As new aircraft and new engines keep rolling off the assembly line, the bottleneck of engine maintenance shops will only grow larger unless there is concerted effort placed on the development of engine shops, said an industry expert. 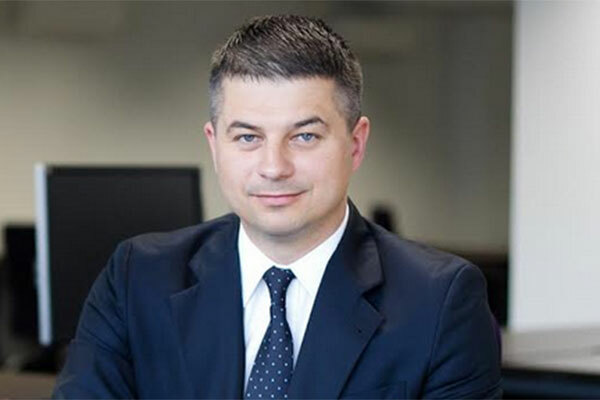 “Timely maintenance, whether scheduled or unscheduled, is essential for the smooth operation of commercial airlines and ensures they can fly on a dependable schedule,” added Gediminas Ziemelis, chairman of the Board at Avia Solutions Group, a specialist in providing airport solutions and airline planning. “The two components of maintenance are the aircraft itself and the engines. Not all MRO facilities are equipped to also perform engine maintenance as special facilities and certifications are required. Currently, engine shops worldwide are facing a lack of capacity and a large backlog of work. As new aircraft and new engines are continually rolling off the assembly line, the bottleneck of engine maintenance shops will only grow larger unless there is concerted effort placed on the future development of engine shops,” he explained. There are many certified engine maintenance shops worldwide with highly trained crews requiring special certifications to be able to work on the engines of aircraft. The high demand of engine maintenance leads to engine shops having a backlog of work scheduled out months in advance leading to some aircraft staying grounded longer than originally scheduled, culminating in ballooned maintenance costs for the airlines and delays in getting the aircraft airborne. According to the MRO-network, airlines have as much as 10 per cent of their fleet grounded for maintenance and technical reasons every day. Non-operational aircraft are grounded not only from large maintenance backlogs but also because of the complexities of working with different engine types. The A318, for example, can be fitted with either the CFM56-5B or PW6000 engines despite only having 64 of these aircraft flying. Of the 64 aircraft still in service three A318s are grounded for engine maintenance. The A319/320/321 family has the option to run on the CFM56-5B or IAE V2500 engine platform. From this family of aircraft, at the moment, there are 192 not flying. The examples given were only a small selection of Airbus aircraft. If we expand our criteria to say, the Boeing 737NG equipped with the CFM56-7B engine that adds an additional 87 aircraft down for engine maintenance. “Even with new engine shops opening up worldwide there will still be at least 100 aircraft remaining non-operational,” stated Ziemelis. Ziemelis said that it been generally accepted that at the beginning of its lifespan an aircraft’s engine accounts for 20 per cent of the total cost of an aircraft while near the end of the aircraft’s lifespan the engine accounts for 80 per cent of the total value. But according to FlightGlobal, these statistics do not hold up for the modern generation of airliners; the A320neo and 737 MAX have engine value starting points that account for greater than 50 per cent of the aircraft value. A projection of a 10-year-old Leap powered A320neo or 737 MAX places the engine as having 90 per cent of the total value of the aircraft. If the market continues on its current course engine maintenance will grow to occupy an even larger percentage of the MRO market. A shift in the value of the engines means a shift in the paradigm of the value of engine maintenance. There are currently 9,986 combined firm orders for the A320NEO and 737MAX. With 72 per cent of the worldwide 2036 fleet expected to be narrow-bodies, the engines that power the aircraft will be making up a large percentage of the total commercial aviation market cap, so it is imperative there be enough maintenance capacity and that the costs of spare parts remain reasonable. As aircraft engines gain a higher ratio of the value in aircraft, maintenance prices are going up. While new engines may come with an initial discount, OEM’s recover the lost profit and cover the cost of research and development through the sale of used engines and spare parts. According to an analysis by FlightGlobal, over a 17-year period, life-limited parts and engine overhaul costs have increased by 250 per cent and 150 per cent respectively, greatly exceeding the consumer price index. As engines become more reliable, the time between overhauls is increasing so when aircraft do come in for engine maintenance the costs are greater since the OEM needs to recover more money. Within the industry, there is a need to be able to develop a means of more affordable parts acquisition. In the near future, there is a possibility that it will be more economical to scrap aircraft as young as ten years old to part out the engine. This method is dangerous, since, after a short period, the supply of aircraft would be low which could drive ticket prices up. For example, according to the MRO-Network, of the 832 Trent 700 engines that are in service today, it is expected the MRO demand for maintenance on these engines will cost $46.6 billion over the next ten years. Components will account for the majority of the demand, costing as much as $14.3 billion. New maintenance models gaining popularity are aimed at relieving steep maintenance costs such as pay per hour programs which standardizes the maintenance schedules and provides predictable pricing with guarantees of part replacements. Engines can only make a profit for operators when they are on-wing which reduces downtime and provides stable maintenance environments, like those provided by pay per hour programs, helps operators accurately forecast maintenance time and reduce costs. The competitive nature of the commercial aviation industry means that any inefficiencies are quickly weeded out by the competition. As a backlog of engine maintenance work is keeping aircraft on the ground, new engine maintenance facilities are popping up in countries all around the world with competitive turnaround times and international certifications. As engine values soar, driving up the cost of engine maintenance, new maintenance models are changing the way the industry thinks about engine maintenance and in the process stabilizing costs and streamlining the supply flow. Engine maintenance is changing, moving towards a more data-driven analytical and diagnostic connectedness that is currently experiencing growing pains that will undoubtedly be solved in the near future.